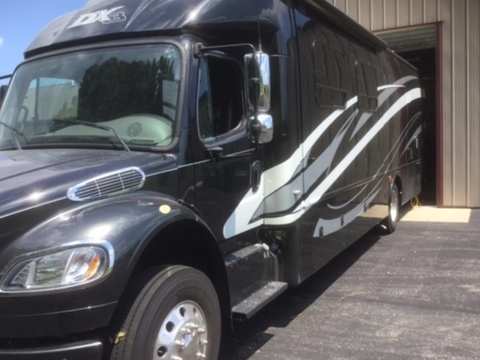 2014 Forest River DynaMax; Excellent condition and well maintained, garage kept. 350 HP. Exterior package with 13' power patio awning, slide toppers with covers and exterior wall mounted entertainment center with 32' LCD TV, AM/FM/CD/DVD. Satellite Dish. Interior features just like home with spacious living area, dinette table, rich cherry cabinets, LP cooktop, over the range convection microwave oven. 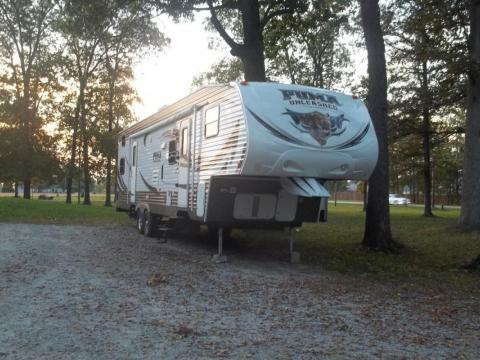 2013 Puma Unleashed toy hauler. Great toy hauler. one slide out with five queen size beds. Have had six adults and six kids comfortably. Brand new tires. Only wanting to sell since I want a bigger model. This model currently new is selling for $36-38,000. Get a great deal by buying used. all features in this camper are in new condition some have not been used, fireplace still has the factory cover and tag still on stereo, the flooring and furniture are all in great condition tires have less than 100 miles on them , Stock #169079 WOW, this practically new CHEROKEE is all you and your family need this year, start your adventure today. 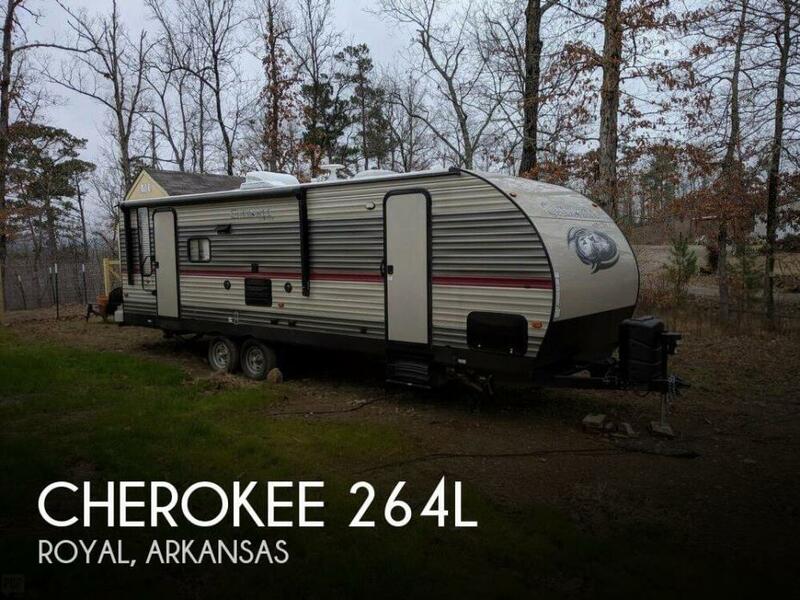 If you are in the market for a travel trailer, look no further than this 2018 Cherokee 264L, just reduced to $22,000. 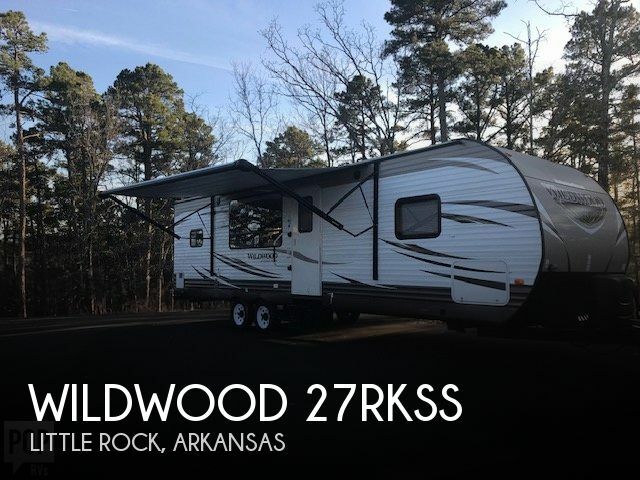 This Travel Trailer is located in Royal, Arkansas and is in good condition. This 2014 Forster by( forest river ) is in excellent shape. 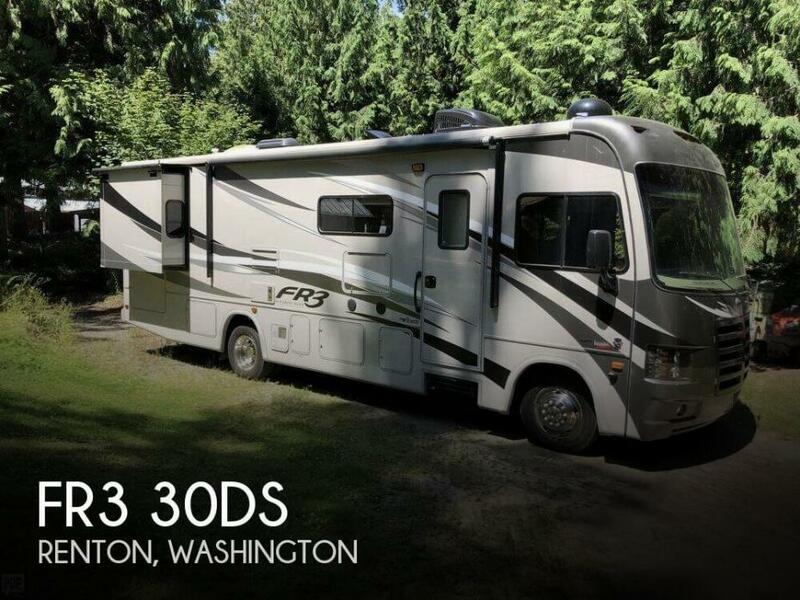 With only 23,000 miles this RV is very clean and has been very well-maintained. The current owner bought this RV from a friend and they know the history behind it. All features are working properly. 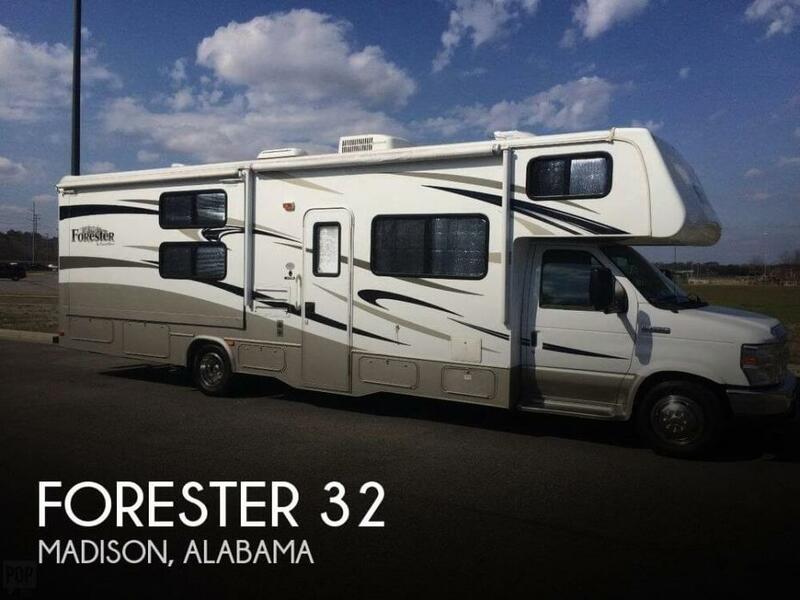 Stock #167165 Very Spacious Forest River Forester 3171 DS with low mileage! If you are in the market for a class c, look no further than this 2014 Forester 32, just reduced to $57,900. This Class C is located in Madison, Alabama and is in great condition. She is also equipped with a Ford engine that has 22,000 miles. Reason for selling is not using. Stock #176410 Super clean and slick Unit. Barely Used! 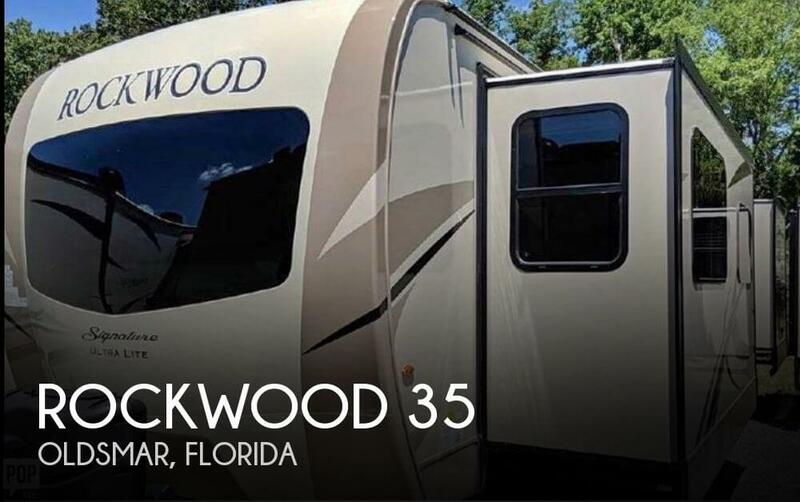 Smells New If you are in the market for a travel trailer, look no further than this 2018 Rockwood 35, priced right at $36,200. This Travel Trailer is located in Oldsmar, Florida. Reason for selling is no longer have time.. Maintenance records available! One owner vehicle. 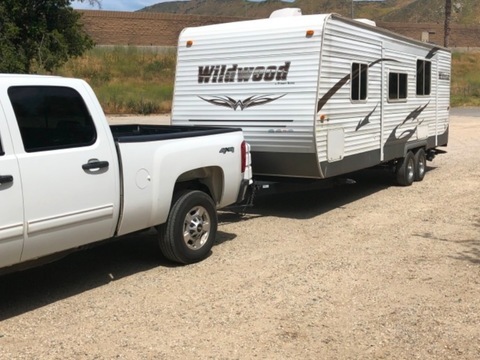 Seller states that all systems, mechanics, etc function as expected and that the RV is in overall excellent condition. Please call, text, email or make and inquiry to schedule a showing, ask a question or make an offer contingent on inspections! Stock #169417 Well designed and detailed Forester 3051S with low hours and rarely used. Plenty of power and room for family & friends!! If you are in the market for a class c, look no further than this 2015 Forester 3051S, just reduced to $64,000. This Class C is located in Monroe, Louisiana and is in great condition. She is also equipped with a Ford engine that has 6,800 miles. Reason for selling is medical issues. Stock #176086 2016 Cardinal by Forest River ready to take on your next vacation! If you are in the market for a fifth wheel, look no further than this 2016 Cardinal 38, priced right at $66,700. 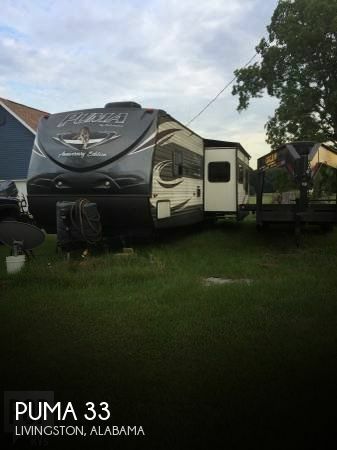 This Fifth Wheel is located in Saint Landry, Louisiana. One of the two swiveling reclining chairs does not function properly. The owner still leans back in it and is not going to fix it. The bathroom ceiling vent has cracked. The owner has it sealed from above so it does not leak rain. Stock #176012 Practically New PUMA, Anniversary Edition - this is all you and your family need this summer, get out there and start enjoying the wildlife, today. If you are in the market for a travel trailer, look no further than this 2015 Puma 33, priced right at $20,250. 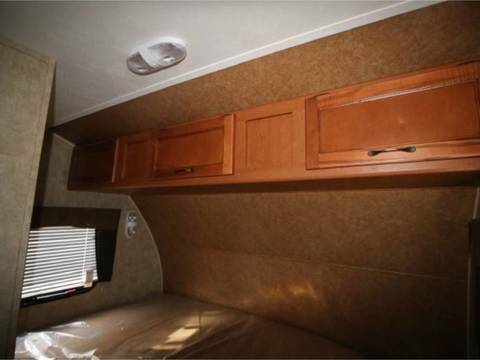 This Travel Trailer is located in Livingston, Alabama and is in great condition. Reason for selling is ready for new adventures!!!. Stock #175141 2015 FLAGSTAFF BY FOREST RIVER FIFTH 5TH WHEEL SLEEPS 6 If you are in the market for a fifth wheel, look no further than this 2015 Flagstaff Classic Super Lite 8528IKWS, priced right at $24,750. 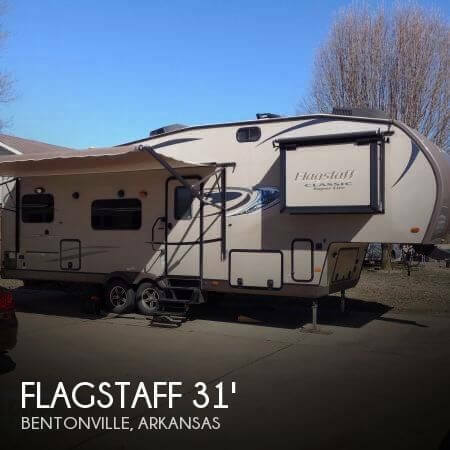 This Fifth Wheel is located in Bentonville, Arkansas and is in great condition. Reason for selling is just not enough time to use it.. This coach appears to be in excellent condition and well cared for. It is clean with no visible damage inside or out. The fold-out couch has never been used as a bed, still sporting the plastic mattress covering. 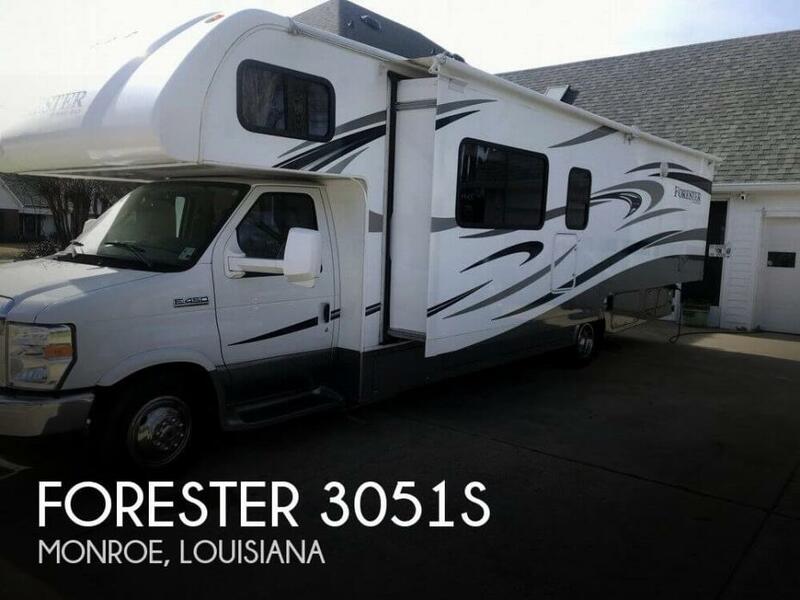 Stock #152675 Like new 2014 Forest River FR3 30DS with only 13,500 miles! If you are in the market for a class a, look no further than this 2014 FR3 30DS, just reduced to $67,500. This Class A is located in Renton, Washington and is in great condition. She is also equipped with a Ford engine that has 13,500 miles (as of October 31). 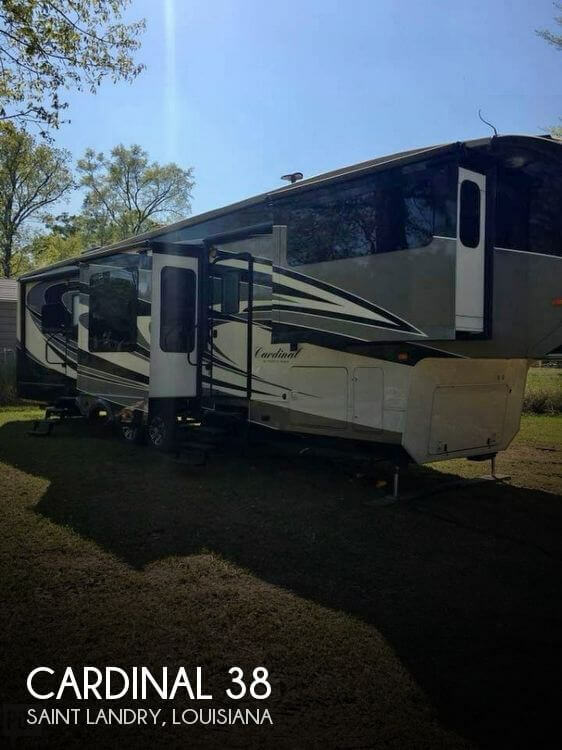 Reason for selling is wife wants a class b rv. This Fifth Wheel Trailer is in excellent condition. It's been stored under cover for about 75% of the time. Lippert JT strongarm stabilizers were added to take the sway out of the trailer, and Lippert also reinforced the frame to prevent flexing while under tow. Two of the Televisions were added in 2017 and those fantastic entry stairs were added when the seller purchased the trailer. The bike rack was also customized for this trailer. Stock #170726 If you have been searching for the perfect fifth wheel for your family, your search is over! This travel trailer is in very good shape, the owner used it very little and had taken care of it. The queen size mattress in the bedroom has never been slept on, on the outside, there is one small ding in the front that is barely noticeable, overall it's like new condition Stock #164907 LIKE NEW travel trailer, very clean, used very little , Reason for selling is bought motorhome. All systems are in good working order according to the Seller. Seller has been meticulous about the care including having a yearly warranty contract with a local dealer. RV is stored undercover in an 18'x55' RV port. Has been recently washed and waxed. Stock #170464 A Beauty! Barely used. Owner very meticulous! Includes fireplace! 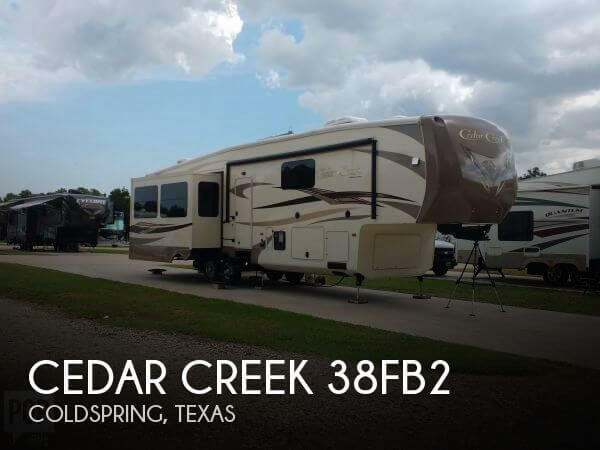 If you are in the market for a fifth wheel, look no further than this 2015 Cedar Creek 38FB2, priced right at $63,900. 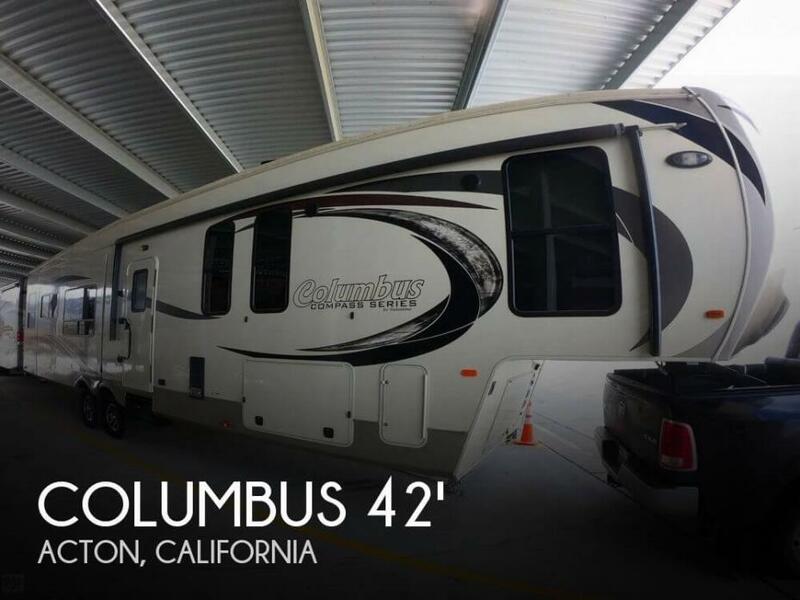 This Fifth Wheel is located in Coldspring, Texas and is in great condition. Reason for selling is not able to use enough.